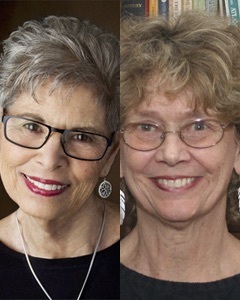 Judith Wolf Mandell and Sally Loughridge PhD are the authors of children's books dealing with serious injury or illness. Mandell, a professional writer in Nashville, Tennessee, was inspired to create Sammy's Broken Leg (Oh, No!) and the Amazing Cast That Fixed It after her granddaughter, then 2, spent a mostly miserable month in a spica (chest-to-ankle) cast. Loughridge, a professional artist in Maine, previously practiced clinical child psychology for over 25 years. Daniel and His Starry Night Blanket: A Story of Illness and Sibling Love reflects her experiences as child psychologist, cancer patient and visual artist. She is also the author of Rad Art: A Journey Through Radiation Treatment, a visual and written diary of 33 consecutive days of radiotherapy.